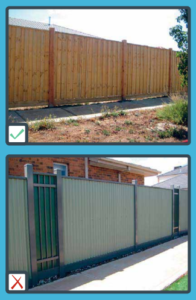 Click here to see the Annadale Fencing Guidelines that North Fencing understands and will adhere to when fencing your new home! North Fencing are Annadale’s local and recommended fencing contractors – they live locally and predominantly service the local area with quality work, every time. Annadale celebrates a truly scenic landscape, merging nature with thoughtful development. Set to comprise more than 1200 homes, Annadale will be the ideal community for your brand new home. Conveniently located near the future Mickleham Town Centre, current plans include a primary school, sports facility, two parks, playgrounds and integrated walking trails through the woodlands. This will be on top of the already established range of schools, shopping centres, recreational facilities and other amenities located nearby.